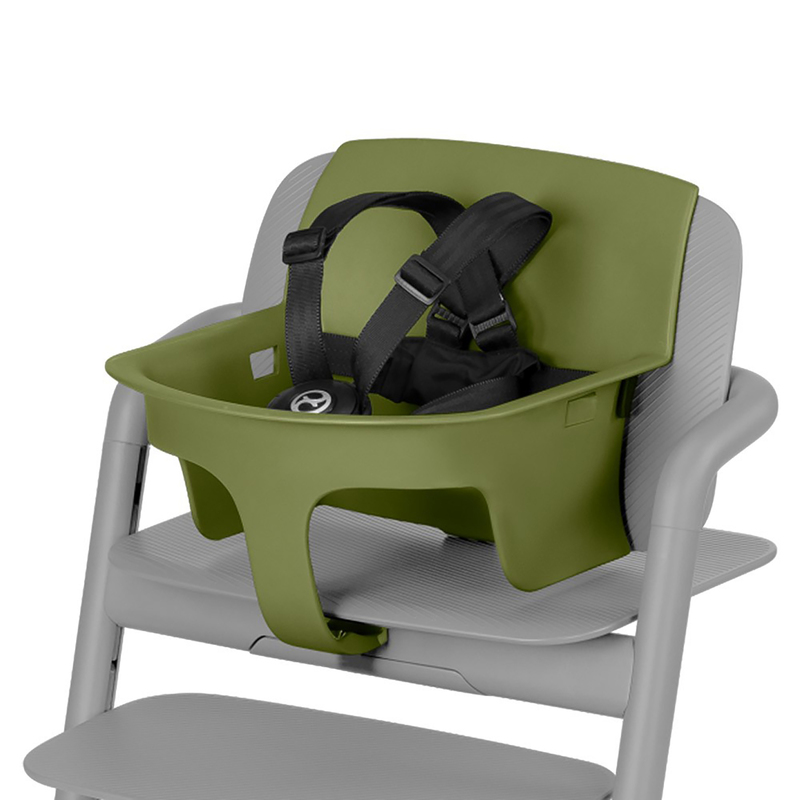 Providing additional protection and support to your child whilst seated in their LEMO highchair (sold separately), the Cybex LEMO Baby Set features a 5-point safety harness, side protection and simply clips into place on the main seat of the highchair. Great for preventing your little one from wriggling out of their seat, the Baby Set allows you to bring baby up to the dinner table so they can join in at family mealtimes. Hygienic and dishwasher safe, the baby set is available in 6 colours to match the highchair, and the harness can be conveniently popped in a 30° wash too! For advanced comfort, the LEMO Comfort Inlay is also available for purchase (sold separately).